[toc]Your immune system needs to be strong in order to ward off infections and diseases. Boosting your immunity through herbal remedies ensures that you remain strong, fit and healthy. Herbs which can boost your immune system include Dandelion, Chamomile, Ginseng, Echinacea, Winter Cherry, Gingko Biloba, Astragalus, Cat’s Claw, Codonopsis, Garlic, Bell Pepper, Ginger and Turmeric. Herbs contain natural healing powers and they help to energize and revitalize your body. 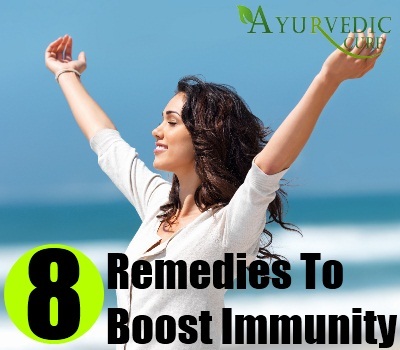 By boosting your immunity, you will also increase your longevity. Herbs can aid in making the body more resistant to infections. Lowered immunity is very dangerous as it leaves you prone to countless illnesses and infections. You need to strengthen your immune system and herbal remedies will help you to harness nature’s healing powers. Echinacea commonly known as Purple Cone Flower is a herb native to Europe. The Latin name of this herb is Echinacea Augustifolia. This herb also possesses antiviral and antibacterial properties. It is used to treat upper respiratory tract infections and diseases. Colds, coughs and influenza can be treated effectively through the use of this herbal remedy. Echinacea leaves and roots are especially beneficial for medicinal purposes. The high number of chemical compounds in this herb such as polysaccharides, flavanoids and caffeic acid derivatives help to boost the immunity system. 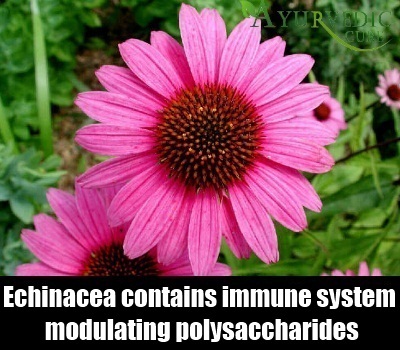 Echinacea contains immune system modulating polysaccharides which help to fight diseases. You can boil the roots and leaves of this herb in water for about 20 minutes. Once the water absorbs the healing powers of this herb’s roots and leaves, you should add sweeteners and tea leaves and consume this hot herbal tea regularly to boost you immune system functioning. The root of this herb is an immune system booster. The botanical name of this herb is Astragalus Membranaceous and it has been used in Chinese medicine as a cure for lowered immunities sine centuries. It is called huang qi in China. Studies have shown that people consuming this herb have high number of leukocytes( white blood cells)which increase the ability of the body to ward off infections and diseases. 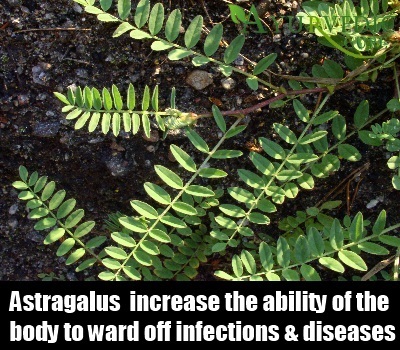 Astragalus contains an active chemical compound called astragalan B which helps to destroy invading bacterial and viral germs and thus safeguard the body against illness and ill health. You can soak Astragalus root in hot water for about 15 minutes. Strain the liquid from the top of this mixture and consume it to obtain the benefits of this herbal remedy. Known by the botanical name Baptisia Tinctoria, Wild Indigo is a herb that stimulates the immune system and increases the body’s energy levels. This herb is native to the United States. It is an efficient herbal remedy for improving the immunity of the body as it is a immune system stimulant. 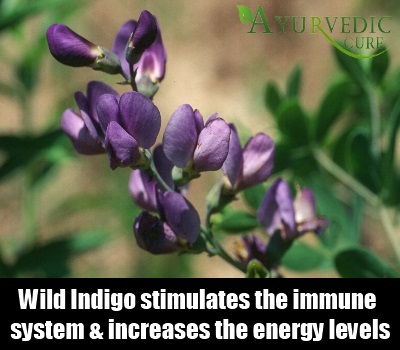 Wild Indigo contains glycoproteins which are very crucial for improving the immunity of the body. Wild Indigo has been used effectively to treat infections such as colds and cough. You can take this herb in the form of a extract or supplement for best results. Wild Indigo can be combined with Echinacea and White Cedar leaves to make a mixture which can be used as a herbal remedy to boost immunity. This herb has amazing medicinal properties. It is antiviral, antibacterial and anti-inflammatory. It also stimulates the immune system and contain plenty of antioxidants. This herb is native to Peru and it can be used as a very effective herbal remedy for increasing the immunity of the body. It contains 6 alkaloids which aid in boosting the immune system to ward off disease causing pathogens. Oxindole alkaloids contained in this herb are especially effective in enhancing the immunity of the body. 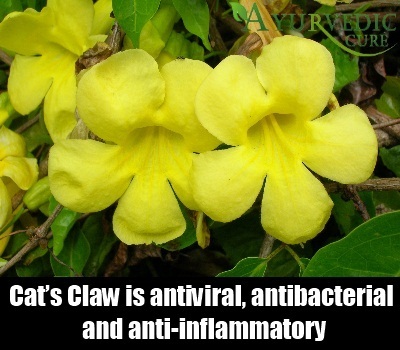 Cat’s Claw can be taken in tea, tincture or tablet form. You should boil the vine and leaves of this herb in water and strain the liquid to make a hot tea which can be consistently consumed to help improve your immunity. Dandelion has been used in Chinese medicine for healing the body and increasing the reserves of the body to fight back infections. 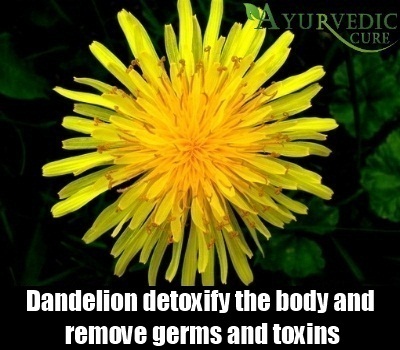 Dandelion works by detoxifying the body and removing germs and toxins from your system. This helps to purify and cleanse the body and it also enhances the functioning of the immune system. However, make sure that you consult a doctor before taking this herbal remedy as Dandelion is also a diuretic. Dandelion tea can be made by mixing the leaves of this herb with sweetener and regular tea leaves and boiling this mixture for about 12 minutes. Then let the mixture simmer for about a few more minutes and strain the liquid tea. Drink this tea twice a day to improve the ability of your body to fend off infections. Chamomile tea is a very effective herbal remedy to increase your immunity. 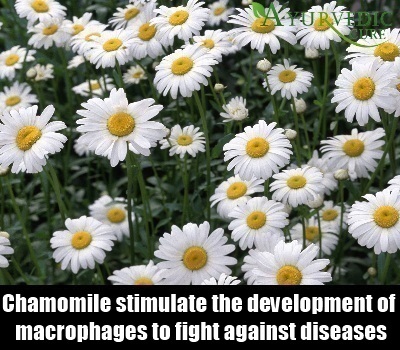 Chamomile contains chemical substances which stimulate the development of macrophages to fight against diseases caused by bacterial, viral and fungal infections. You can drink Chamomile tea to make your immune system stronger. Use dried leaves of this herb to make the tea. Chamomile tea bags are also available for use. Drink this tea at least thrice in a day for some months to energize your immune system. 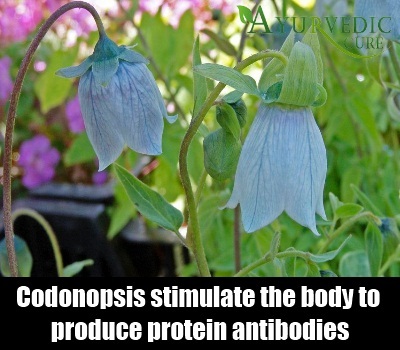 Codonopsis is a herb which can also be used as a remedy to boost the immune system. Codonopsis Pilosula is the botanical name by which this herb is referred to. It is also called Poor Man’s Ginseng because it has similar properties as Ginseng. It is called Dang Shen in China. The root of this herb can be used to make an unbeatable herbal remedy to boost immune system functioning. You can boil the root in water and strain the liquid from the top. Consume this liquid for gaining the beneficial effects of this herb. This herbal remedy is effective because Codonopsis root contains polysaccharides which stimulate the body to produce protein antibodies which fight against invading germs and bacteria. It also helps in the generation of white blood cells. Asian Ginseng also known as Panax Ginseng is a herb which has many remarkable properties. It was believed by the Chinese that this herb could prolong the life span of a person. Ginseng is a stimulant herb which makes the body healthier and helps to rejuvenate the bodily systems. It enhances the production of substances known as interferon which increase the resistance of the body to infections. 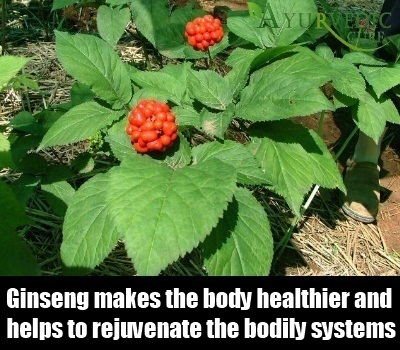 Ginseng also helps to battle infections by stimulating the white blood cells in the body. You can drink Ginseng tea to boost your immunity. Add the leaves of this herb to boiling water and sweeten it by adding natural herbs like Stevia leaves. This herbal tea which is full of nutrients and antioxidants is an ideal herbal remedy for boosting your immunity.